Its election time here in Wales and a prospective candidate, the standing Assembly Member in my constituency seems to have a bit of trouble. In her election leaflet I am advised that if I have any issues that I would like to discuss with her then to contact her with the attached details, one of which was www.gwendaforneath.com which is FULL of helpful information, NOT. She has registered the domain but has not made a web site. ERR???? Also I HAVE contacted her: 12th October 2010, 7th December 2010, 25th January 2011 and March 3rd 2011 but she has never replied. She also said in the leaflet “I called today but you were not in” I was handed the leaflet by a local man that I KNOW is not Gwenda or her husband. He is just a member of the local Labour Party and lives down the road apiece. A web site which doesn’t exist and an untruth that she personally called “to ask for my vote” and she wants me to vote for her on May 5th 2011, her complacency is ASTOUNDING. 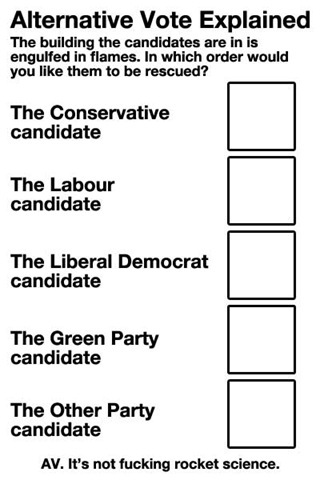 This is of course just MY opinion thousands of voters will disagree at the Election……or will they? Meheheh.